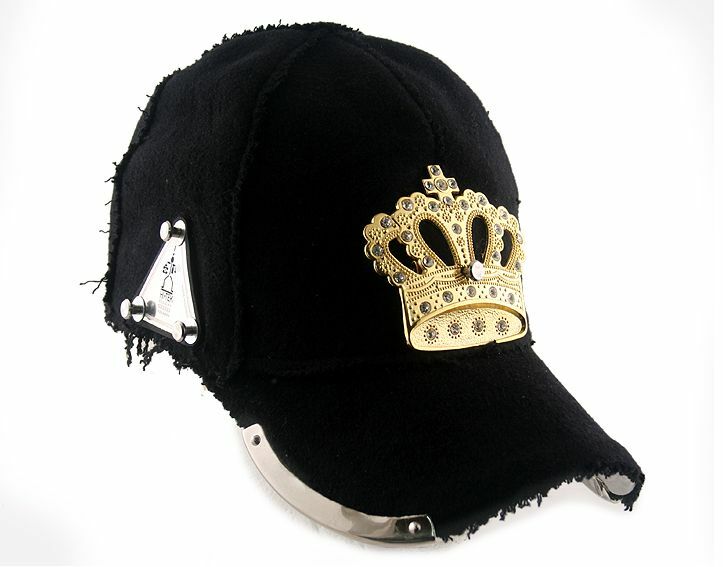 Black wool baseball cap with metal components, unusual, edgy, unique design with large gold crown. Suitable for clubbing,artists, performers, video clip, styling. Cotton base, covered with black wool with ragged edges. Adjustable strap at the back.